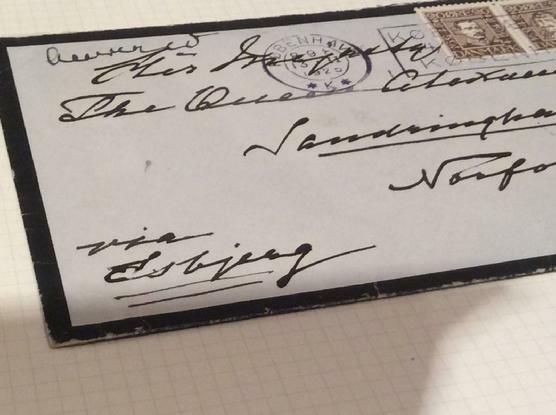 Original hand-written cover envelope sent from Kobenhaven Denmark, from Empress Maria Feodorovna ( past wife of Czar Alexander III and mother of last Czar Nicholas II ), to her sister Queen Alexandra. 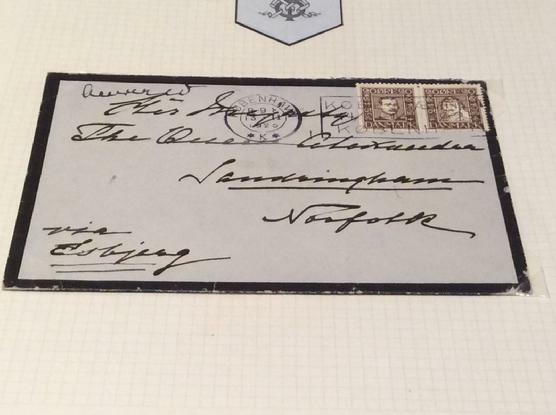 Received at Sandringham, Norfolk on February 13, 1925. 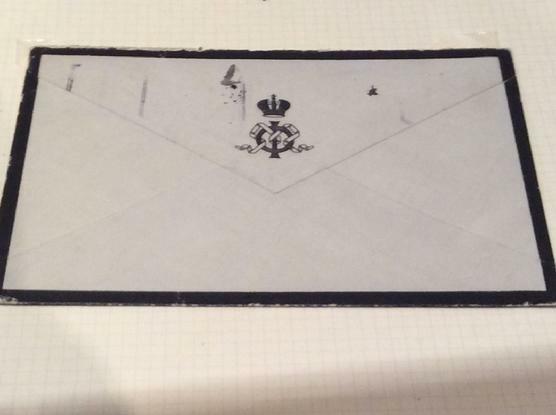 The cover has a cipher of Empress Maria Feodorovna in black ink on the rear of the envelope. 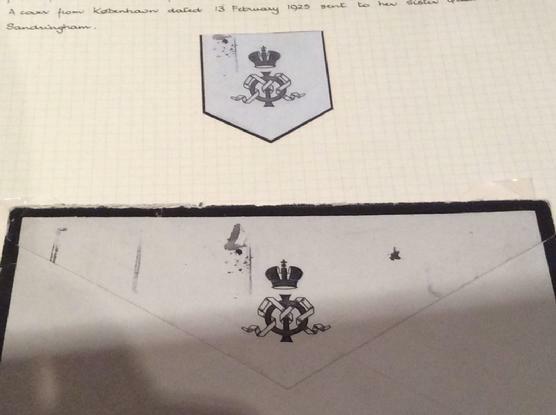 I have enclosed a copy of the original letter that was inside the envelope obtained from the royal archives - Windsor. 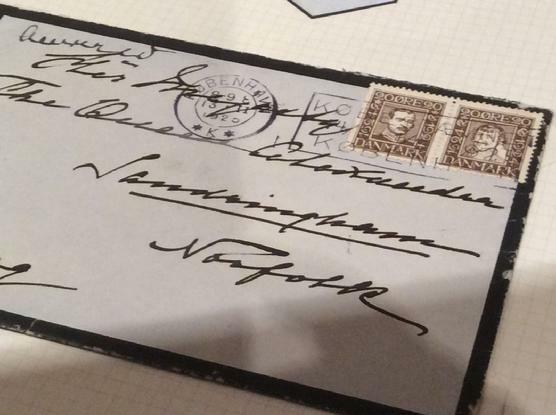 Genuine and extremly rare item, from Romanov Dynasty. Revolution came to Russia in 1917, Despite the overthrow of the monarchy in 1917, the former Dowager Empress Maria at first refused to leave Russia. Only in 1919, at the urging of her sister, Dowager Queen Alexandra, did she begrudgingly depart, fleeing via the Crimea over the Black Sea to London. King George V sent the warship HMS Marlborough to retrieve his aunt. 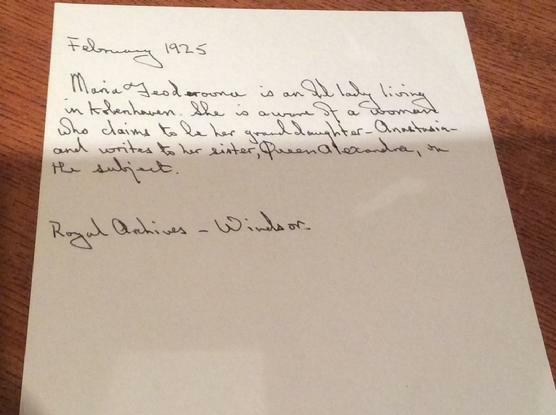 After a brief stay in the British base in Malta, she travelled to England, to stay with her sister, Alexandra. Although Queen Alexandra never treated her sister badly and they spent time together at Marlborough House in London and at Sandringham House in Norfolk, Maria, as a deposed dowager empress, felt that she was now "number two," in contrast to her sister, a popular dowager queen, and she eventually returned to her native Denmark. After living briefly with her nephew, King Christian , in a wing of the Amalienborg Palace, she chose her holiday villa Hvidøre near Copenhagen as her new permanent home. 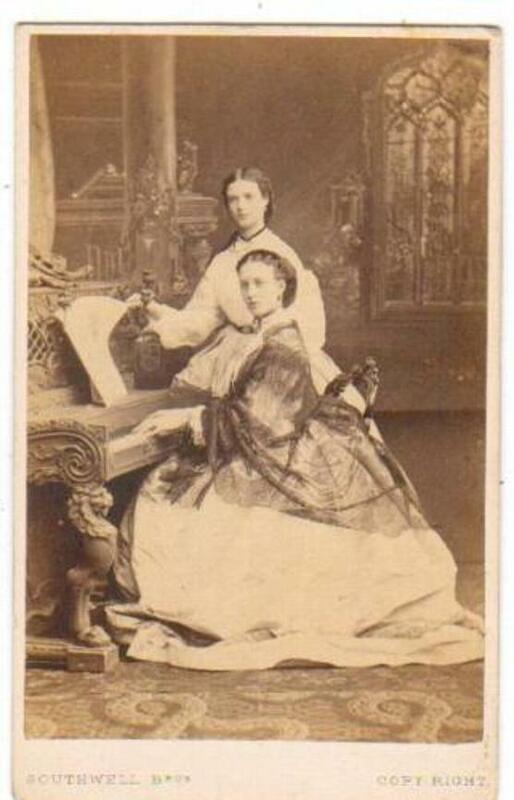 The photograph of two sisters is not for sale and not included in this lot.